Workers at the Knoxville Bottom Kiln, a reproduction wood-fired brick kiln, demonstrate Crawford County’s rich pottery-making traditions. Originally inhabited by the Muskogee people (Creek Indians), Crawford County, Georgia, (population 12,874) was created from Houston County in 1822. In 1823, Knoxville was established as the county seat along the main stagecoach and telegraph route from Washington, D.C. to New Orleans. When the city of Roberta was incorporated in 1890, it became a thriving town with a railroad freight depot and passenger station. The early settlers of Crawford County were farmers. Other economic mainstays included cattle ranching, timber harvesting, and sand extraction. During the 1800s and early 1900s, local potters, or “jug makers,” played a role in the county’s economic life. The unique clay and alkaline glaze they used makes Crawford County pottery distinctive and much valued by collectors. A number of people who shaped not only Georgia but U.S. history had ties to Crawford County, including Benjamin Hawkins, named by George Washington as the first U.S. Indian Agent; Joanna Troutman, known as the “Betsy Ross of Texas,” who designed the first Lone Star flag; John Pemberton, the inventor of Coca-Cola; and Jefferson Franklin Long, Georgia’s first African American congressional representative. 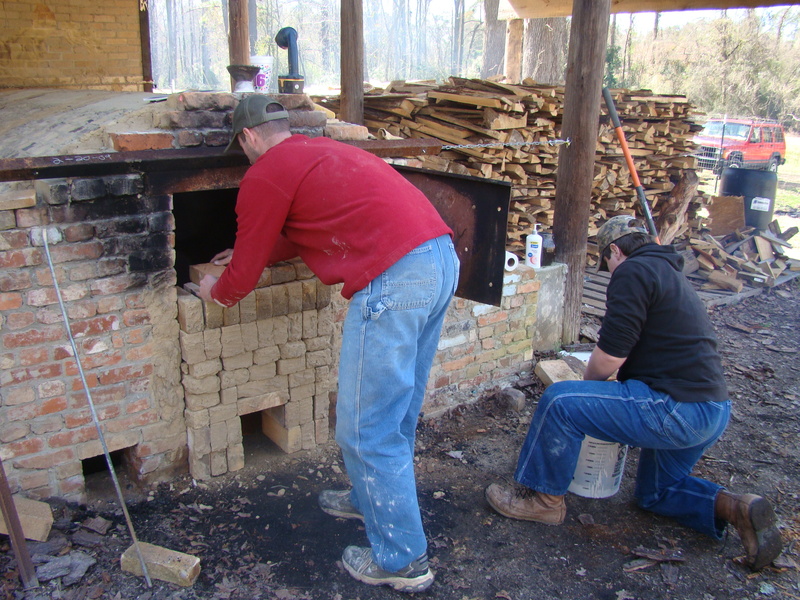 In recognition of Crawford County’s rich pottery tradition, the Crawford County Historical Society and the community recently built a reproduction wood-fired brick kiln. Pottery firings and sales at the Knoxville Bottom Kiln occur several times a year, drawing residents and tourists alike. Crawford’s historic courthouse was constructed in 1851 and is one of the oldest in Georgia. Today, the Crawford County Historical Society is working to establish a pottery museum and cultural center in the building. The county is part of Georgia’s regional Peach Blossom Trail, and the annual JugFest and Old Knoxville Days Festival draw visitors from throughout the region.